Experiencing a natural environment with mindful intent allows us to let go of the constant head-chatter of modern life. Wild Wellbeing takes us back to a more intuitive way of being - the way of our ancestors. By exploring the senses we connect to a deeper, more peaceful level of awareness which can help relieve stress, fear, mental and emotional trauma. 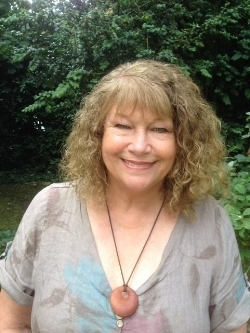 Susan Hall is a qualified, experienced teacher-practitioner in a wide range of modalities. She works with and teaches ancient nature traditions in Europe and Japan, the aim of which is to help alleviate the stress of modern living. Since a child Susan has looked to the power of the natural world for healing, inspiration and wisdom. Susan and Wild Wellbeing offers you the opportunity to reawaken your personal innate relationship with the rest of Nature within a safe, nurturing, magical experience.